The Weight of your TV is another imporatant factor to consider. Please be sure not to exceed the indicated weight limit on our mounts even though they have gone through rigrous weight testing. You may find 'Weight Capacity' under 'Specifications' of our products. Personal preferences come into play here as how you would like your TV to be placed: the distance between you and your TV and the height of the TV. Appropriate distance is needed since otherwise you may miss out the high quality detail in HD or DVD signal or find the images pixilated. Research shows that Your TV will look its best when viewed on-axis (from straight ahead), at a height where your eyes are level with the middle of the screen. 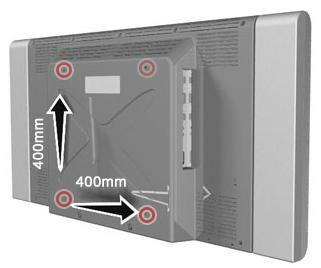 Please select among corner wall mounts if you plan to mount your TV at a corner. All our mounts can work for non-corner mounting. A flat to wall mount will be the best to achieve a discreet and elegant appearance. Your flat panel TV can be placed flat to the wall since these wall mounts are designed with a slim profile. The use of a tilting wall mount is ideal for hanging the plasma television set above eye level - say, if you are going to watch TV while lying in bed. Tilt Wall Mounts will make your flat screen TV adjustable and can be tilted up or down for optimum viewing angle. Tilting feature would also help to reduce or even eliminate glare and reflections on your TV. This Series of wall mount (Full Motion) are the best for corner or a place where you would like to make multiple viewing angles available. With arms and pivot points structures you may fold out your TV to achieve vast range of angles, as well as folding it back to neatly position your TV against the wall. Now, please write down your answers to the above 5 questions. Make sure you double check on the product detail page: if all matched, you have the right choice!